You know Lyft? That on-demand ride-sharing thing with the pink mustaches and the fist-bumping? Well, after taking a bunch of them home from bars libraries, we found out that there are actually themed Lyfts in SF. 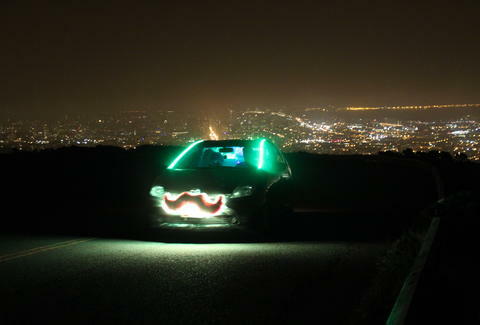 Being the handsome newsletter that we are, we decided to track down the Top Five most amazing ones in SF and take pictures of them in all their glory... Candy 'Stache Lyft Driver: Dori Why She's Great: She literally offers strangers free candy. Favorite Planeteer: "The Heart guy, because he was so sweet and the cutest thing and... ya know, just his power was so lame you kinda felt bad for him." 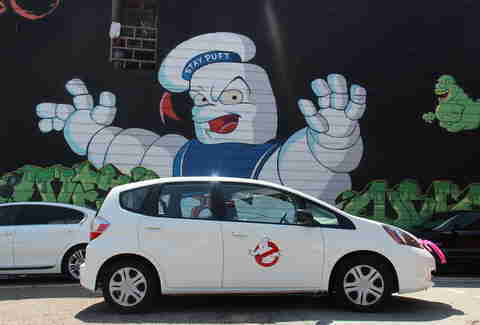 Ghostbusters Lyft Driver: Jon Why Ghostbusters: "Well, I was getting this weirdly shaped car and I thought I could get a decal to make it look like a [Star Trek] Federation shuttlecraft... or I could get laid sometime in the near future." Typical Rider/Passerby Reaction: "You would not believe how many [Jon is doing the goofy thumbs-up face] I get" and "literally half the people I see say, 'Who you gonna call?'" Favorite X-man: "It's hard to choose. It'd be great to be Beast since he's so smart, but Wolverine... he has knives coming out of his hands." 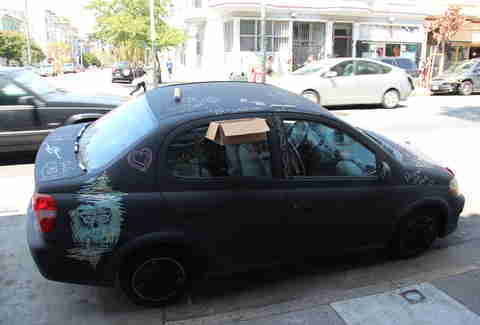 ChalkCar Lyft Driver: Grant What's his (chalk) shtick: His specially treated car means that he can park in a 'hood with a box of chalk and (with no damage to the car) people can draw whatever they like on the car, ranging from artistic renditions of the Golden Gate to "penises... there are lots of penises." 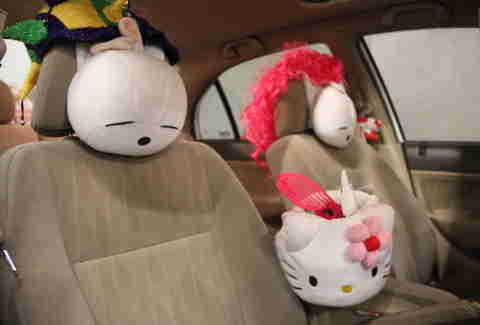 Hello Kitty Lyft Driver: Winnie Why She's Great: She's been a Lyft driver since the beta version of the program and has been collecting Hello Kitty/random paraphernalia (giant stunner shades, anyone?) that you can use for the greatest photobooth ever. 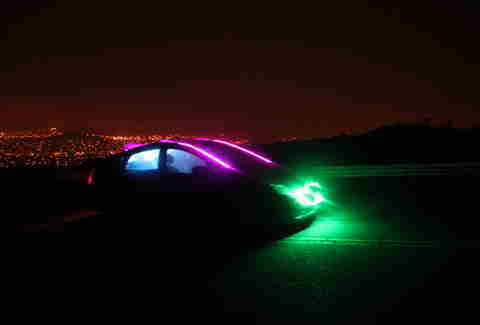 Disco Lyft Driver: Matthew Why He's Great: His car comes equipped with a fog machine, crazy neon lighting, and a projected-on-the-ceiling karaoke system that he can download any song onto no matter how random or old school it may seem (trust us). Favorite X-man: "Cyclops, because lasers are cool."